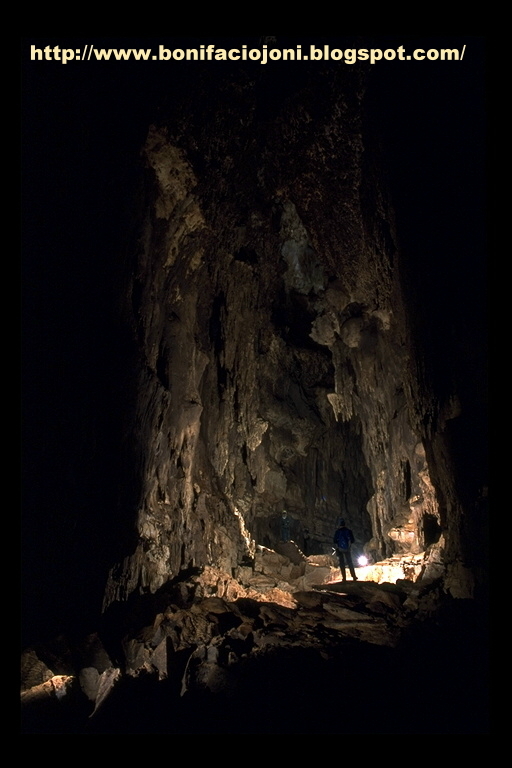 A YEAR AGO, French caver Jean-Paul Sounier and a ragtag team of explorers quietly slipped into the country on a lonely journey where only daredevils go: deep into the bowels of the earth, in the company of abysmal bats prowling in the darkest chambers. Their mission? 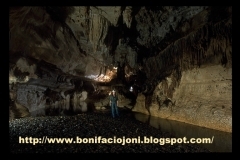 To explore a cave system that might be Southeast Asia’s biggest ever in the heart of storm battered Samar. It was not their first expedition to the rugged terrain where poverty stalks like the notorious phantoms of its fabled mountains. 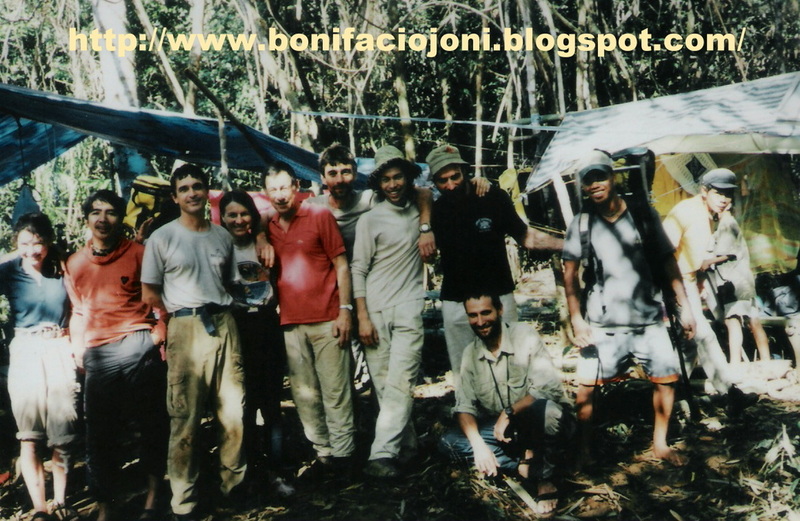 In year 2000 between January 30 and March 25 Jean-Paul first favorable into Samar’s lost caves together with countrymen Tristan Despaigne. Arnaud Guyot, Monika Kolowska, Christian Tamisier and William Michel.The results were quite staggering: 11,761 meters of galleries in five caves, with two found in the Suribao karst (east of Samar), and 10,251 meters in the Calbiga karst (west of Samar) inside the huge kanyawa cave where the main explorations took place. 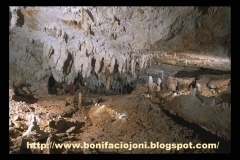 The total is way beyond the 900-sqaure kilometer surface estimate done by Italian cavers previously then considered the largest in the Philippines.Needless to say, it marked the beginning of a new era of cave discoveries in this side of the globe, and is now making its bid for recognition as the biggest ever in the Philippines, if not the Asian world. The general surface features are a mixture of tropical pinnacle and cockpit karst. 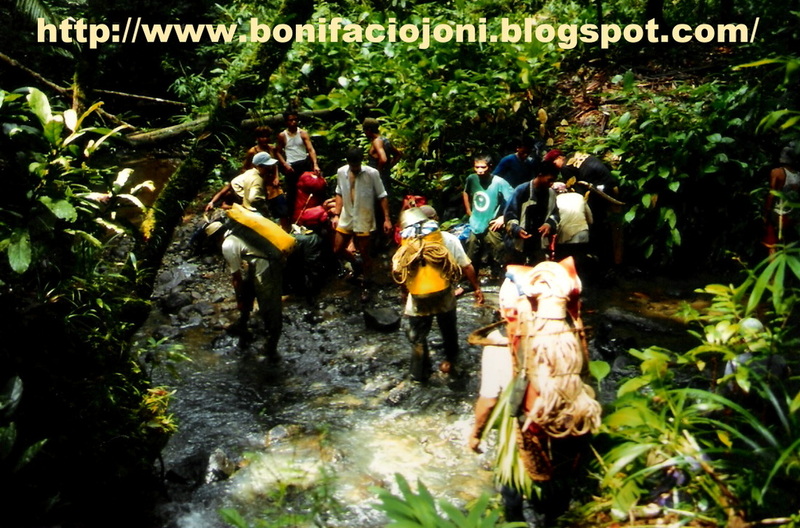 Alternate pitons and dolines form a distorted façade, which is covered by rainforest except in very steep portions deforested by people. Despite the distortion, few paths enable people to cross the platean in a cast-west direction.Yet it is only 10 percent, or so the French would like to believe. There is much left to be explored the reason why Jean-Paul. 51, decided to come back this time in the company of geography professor Philippe Audra 48 cave guide Laurent Jovet 35 military employee Catherine Caullier 45; survivor Paul Caurbon, 66; environmentalist Christine Le Roch, 38; fireman Luc Ruyssen, 54; cave guide David Hiou-You, 28; agriculturist Philippine Hache, 43; and the ruggedly handsome William, 35, the only other returnee cave guide who also sprints his ways in the rapid, rough-and-tumble world of kayaking, rafting, and other power sports. 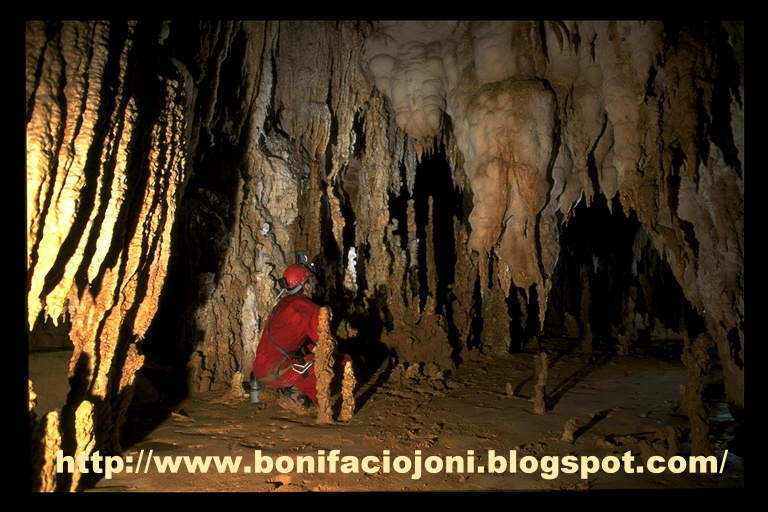 Local caver Joni Bonifacio 24; founder of Trexplore cave guiding company based in Catbalogan, accompanied the French nationals. The French “discovered” the caves not so long ago. 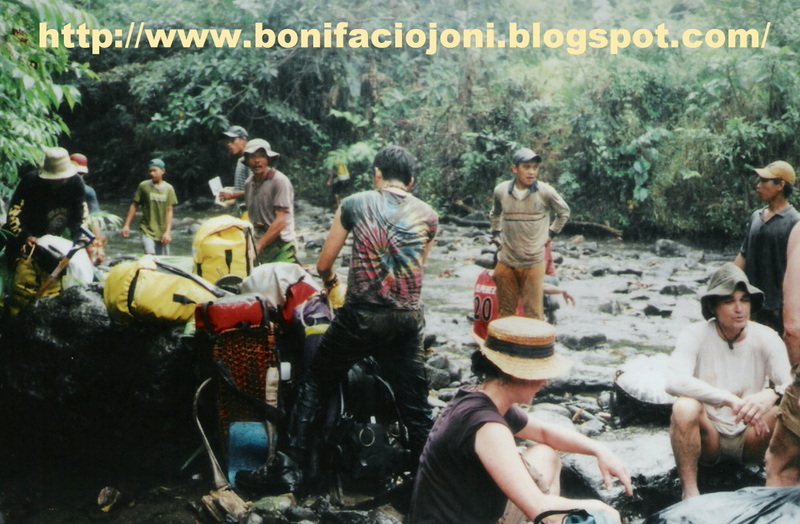 During the Elf Authentic Adventure 1999 classic (beamed to the outside world via cable TV) three years ago, in the limestone area located east of Kaamlongan barrio, Jean-Paul noticed the huge flow rate of Calbiga river from two kilometers downstream its spring. 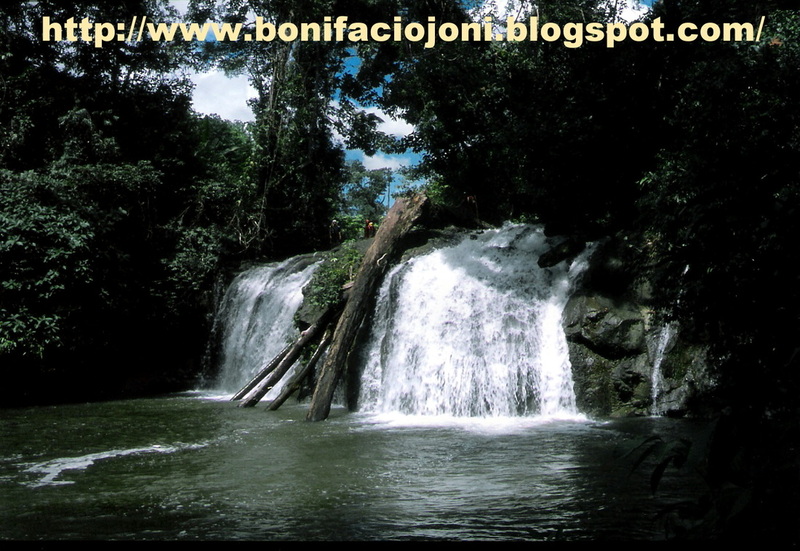 On the east side of the six-kilometer wide limestone plateau, he waded through two streams and saw that they disappear under the mountains. 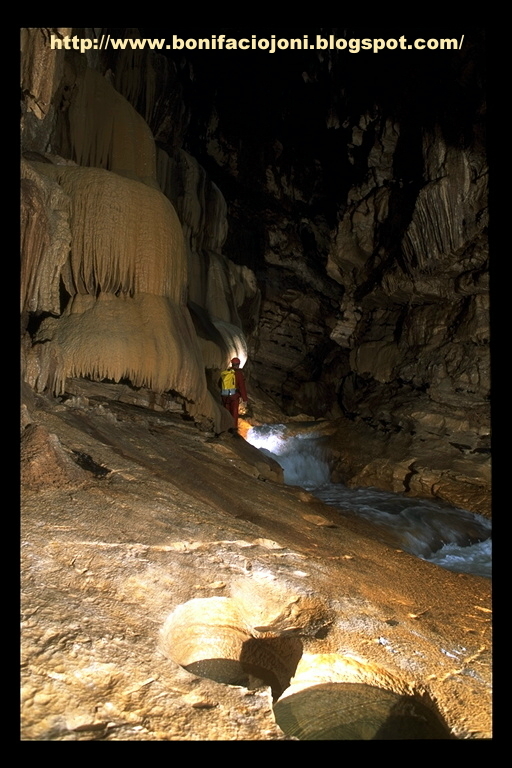 It was enough for him to theorize about a possible connections between the two tributaries and the Calbiga river; six kilometer westwards, Virgin of exploration Jean-Paul decided to set up an expedition to track down the trail of the main river which sinks on the east side of the limestone mountains, as well as to explore resurgences located on the lower part of the Suribao river in the east, which cuts its way through a small limestone area. It’s a whole new world underneath rivers, virginal waterfalls, rock formations and flowstones, one is transported to a cinematic kaleidoscope of galleries leadings to enormous cathedrals, with sparkling spires – gothic at time – jutting toward the sky, and natural chandeliers amazingly illuminating dark chambers. 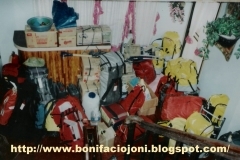 Tacloban City bore witness how the French explorers after holding in at Leyte Park Hotel immediately scoured local grocery stores for a one-month food provision. Canned goods, pasta, noodles, biscuits and spreads made the bulk of their purchases. Power bars took the form of Kitkat and other local chocolate brands Carbides, which are used for headlights, were also bought because batteries are quite expensive. Adding to their woes was the bureaucratic processing of their permit. Jean-Paul knew they didn’t have the luxury of time so they went ahead after it was approved, but only in principle. Unfortunately, an overtly politicized radio station that folded up recently immediately took matters into its own hands. In no time, the low-profile expedition became a canon fodder of the local radio. 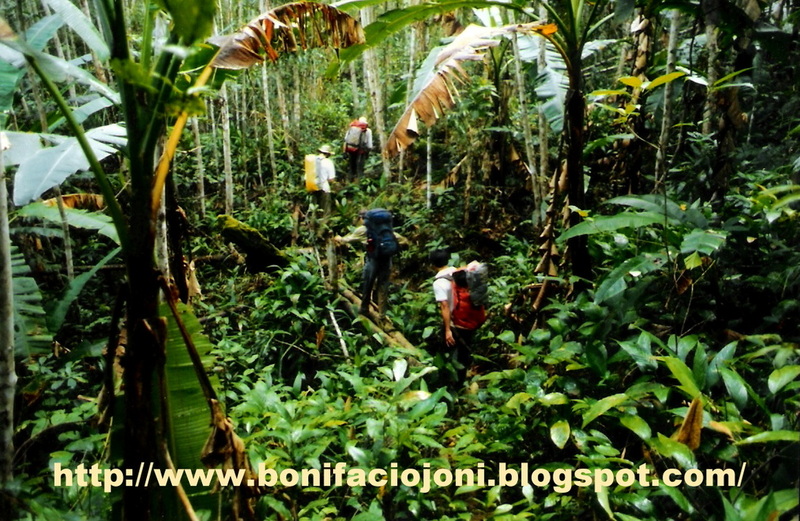 Thankfully it was resolved and the trekkers didn’t even know because they were already deep in jungles. All that they knew is that there is no mobile phone signal in the area. Neither did they have a powerful disc to transmit any information or communication via satellite. Their initial goal, according to Joni, was to penetrate Calbiga further following the 2000 success of the Kanyawa cave explorations. 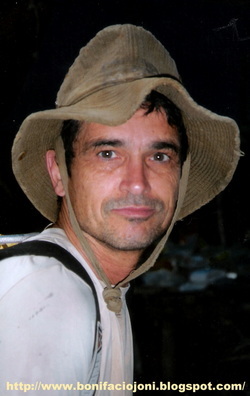 But Jean-Paul, whose credits include canyoning and organizing brutal adventure races across the globe, was personally warned by the New People’s Army (NPA) that they would be killed once they enter Kaamlogan. Jean-Paul, who had personally asked for a safe conduct pass, was left with no choice but to enter via the eastern border as before. 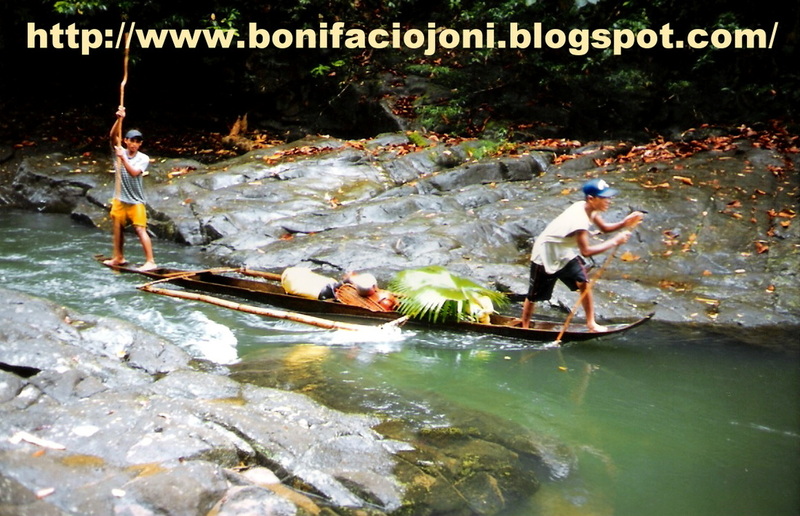 So, from perennial typhoon victim Borongan the explorers went to kamada where they hired a motorboat to Bagong Barrio. There, three motorboats and 43 porters were contracted to ferry them all to the nearest accessible point to kanyawa. 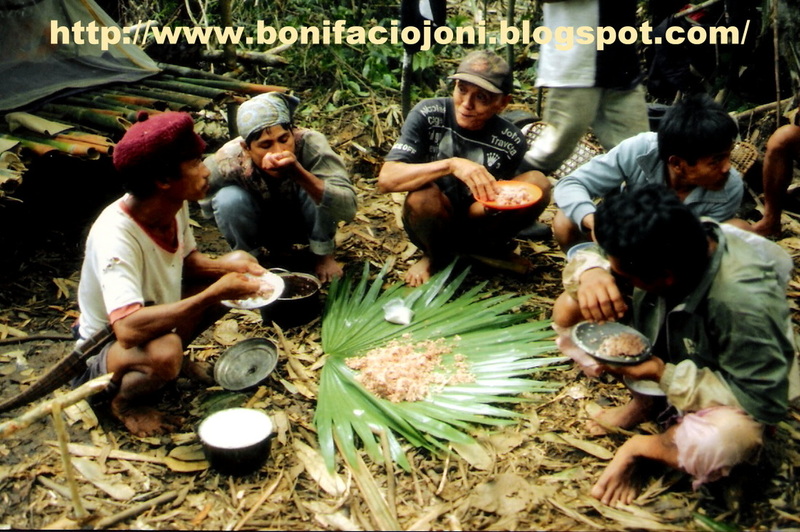 The latter were paid P300 a day inclusive of food. Disdainfully, some of their food supplements and canned goods just vanished into thin air. From thereon, it was a brutal marathon as they pounded lost forest trails, hills and everything in between in blistering pace. 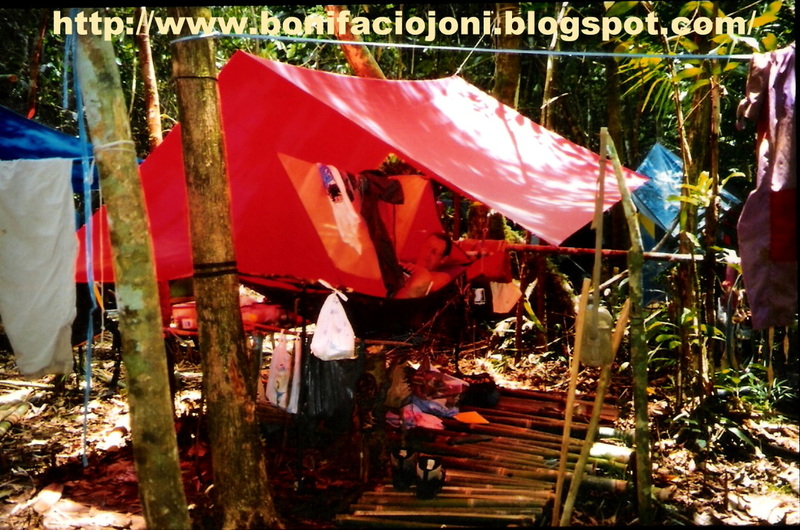 They walked for eight to 11 hours, cutting a trail going to the dreaded cave because the road was already closed.Hight found them camping in the forest lair. 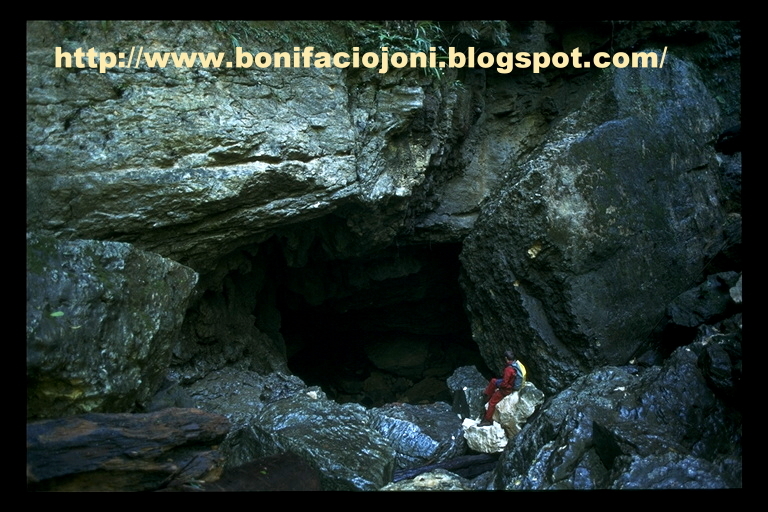 The next morning and after few more hours of walk , kanyawa, otherwish known as the Devil’s Cave finally came into view. 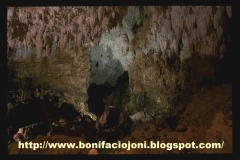 It is formudably located at he buttom of a high cliff abd comes out as a tunnel, with a small 5 by 3 -meter high opening that widens as the explorers trekked in. 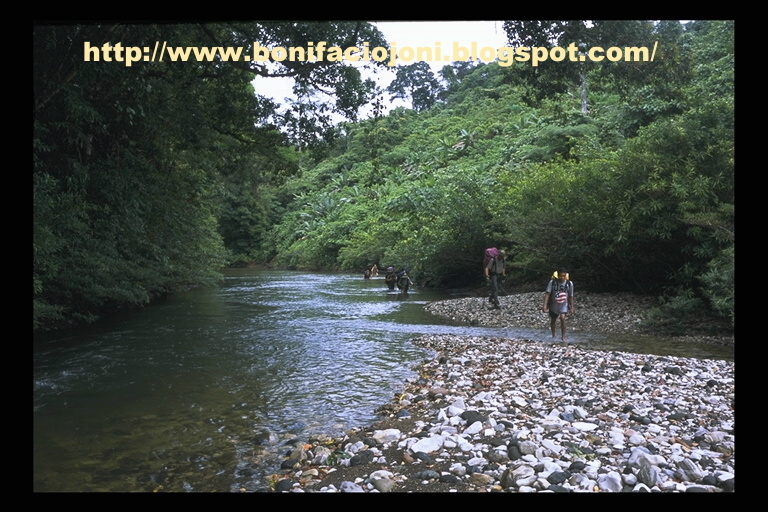 around 120 meters from the entrance, a river comes out from a corridor located on the right side. In this “Gallery of Oblivions,” swimming is a must. 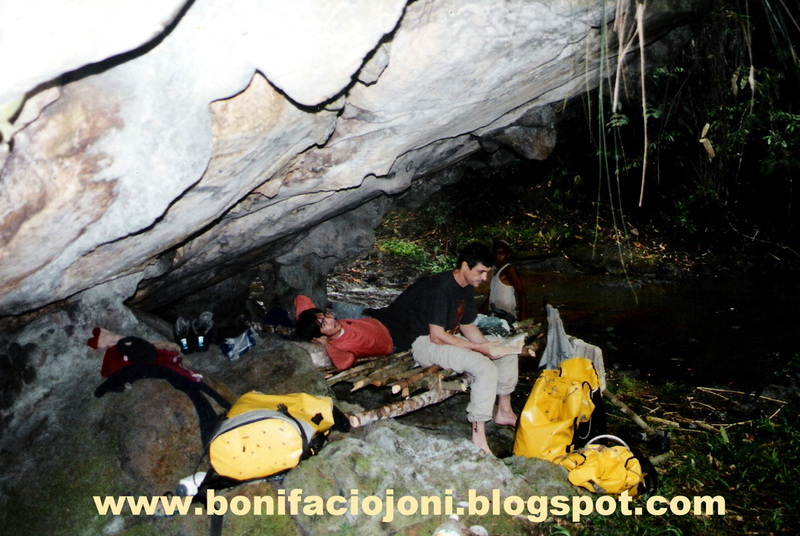 At night, everyone was back at the campsite near the cave’s orifice. Everybody was dead tired, but excited at the prospect of finally getting a headway in their expedition. 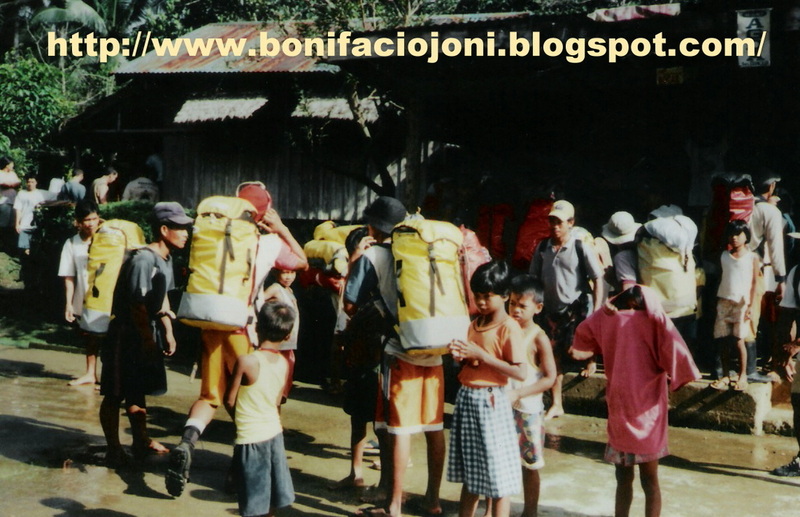 Their army of porters meanwhile returned to Bagong Barrio. It rained for four days. Water level inside Kanyawa rose to unprecedented heights, but it did not prevent them from exploring its flooded, still unknown chambers until a boulder choke dashed all their hopes of a scintillating finish. 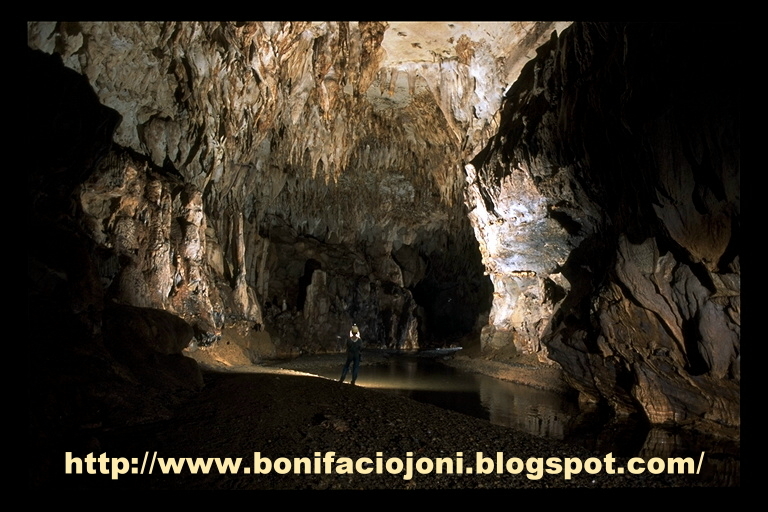 All of them took turns exploring the caves and its subterranean passages except the porters. 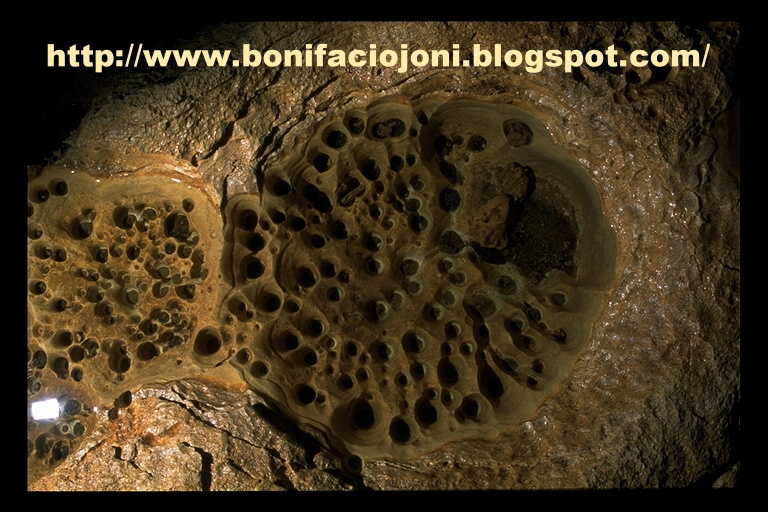 Sometimes they split, used other shortcut openings, but never did all of them entered the cavern at the same time. On the early morning of the 27th, Cathy noticed Jean-Paul’s backpack strangely near their campsite’s garbage plastic bags. She immediately alerted the crew. In no time her suspicions were confirmed. 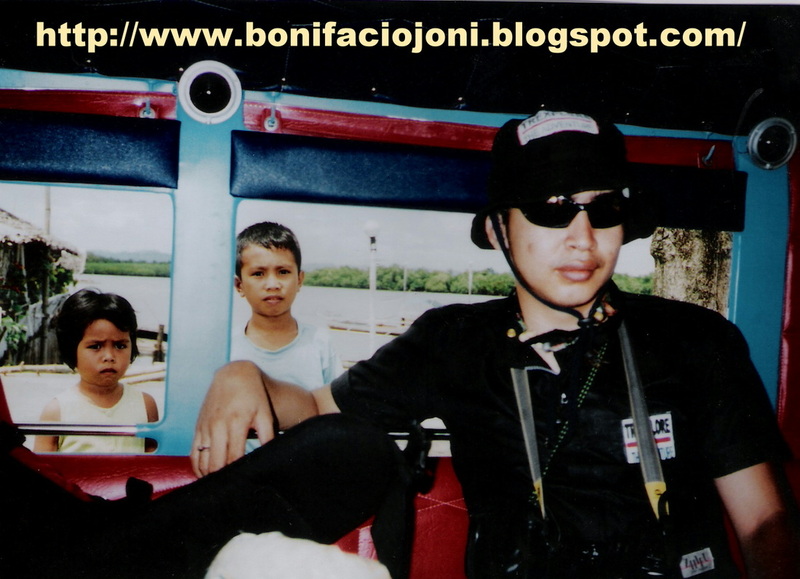 Somebody stole Jean-Paul of P21,000 and his mountaineering sunglasses! There were only 13 of them, including the two porters they hardly knew! One helper was a natural suspect and even tried to intimidate them with rah-rah talks about the NPAs. Unfortunately for him, it did not rattle them off. Dumping him was not possible as there was nobody else in sight. Neither can the other one carry all their heavy accouterments. In the end they decided to just be more vigilant. The Kanyawa sojourn ended on April 8 then, Minaaloc duped them. 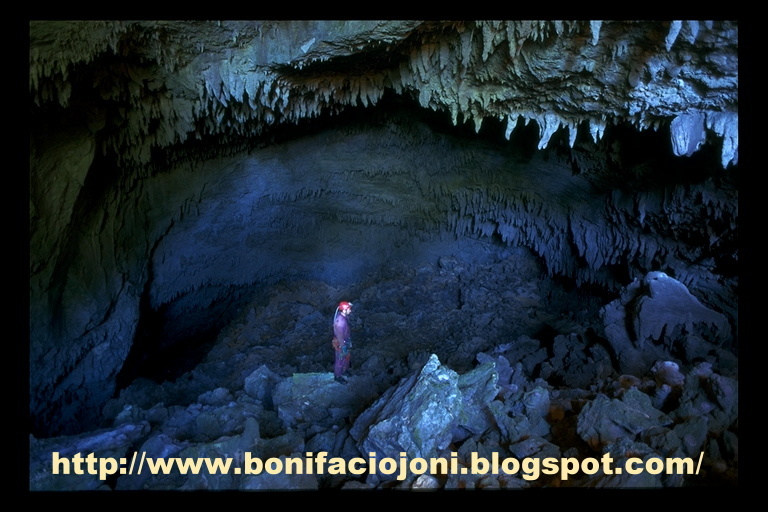 Minaaloc is a three-kilometer cave and is only a two hour walk from San Isidro, surprising Jean-Paul who was expecting another long power-busting route. 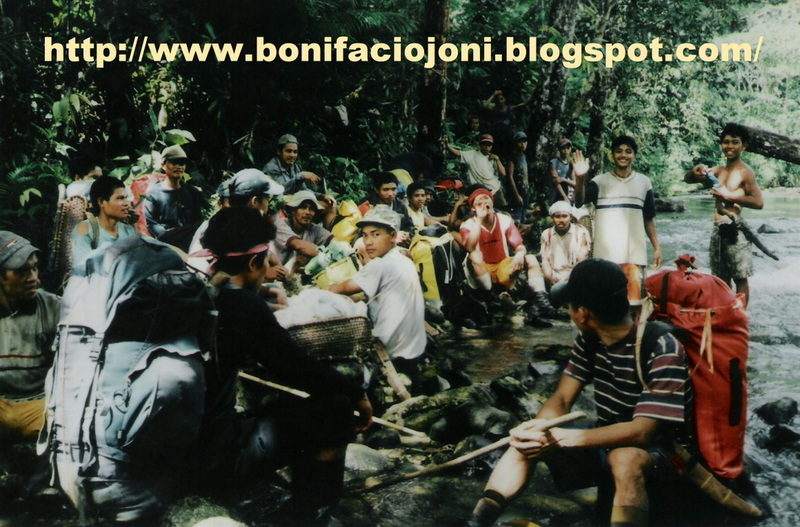 Hesitation aside, they nevertheless proceeded to the cave, hiring 24 porters. 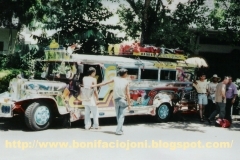 It turned out that Antonio Palce, San Isidro Barangay captain, misheard Jean-Paul. He thought the latter was looking for “Matingcad”. It turned out to be Matingcad. The blunder proved to be a waste of time as Minaalo, located in the heart of Matingead, was “an easy prey,” with a rather small opening though it has more of Batman’s trusted aides compared to Kanyawa. 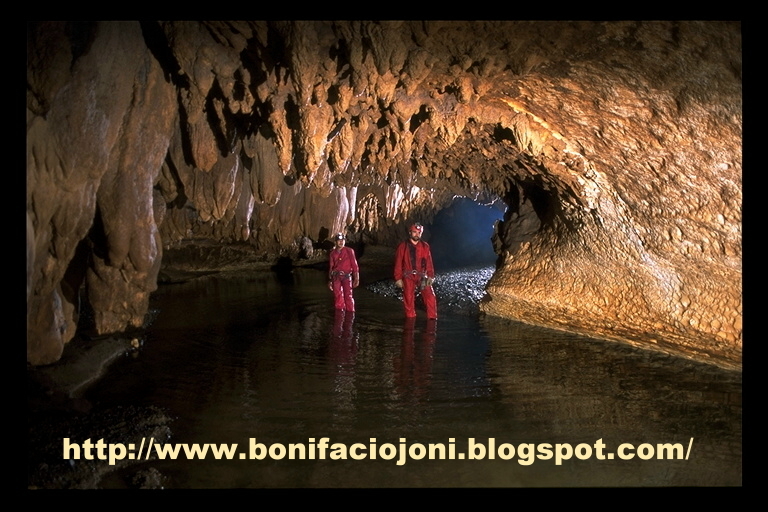 In only three hours, they had already reached the farthest ends of the cave. 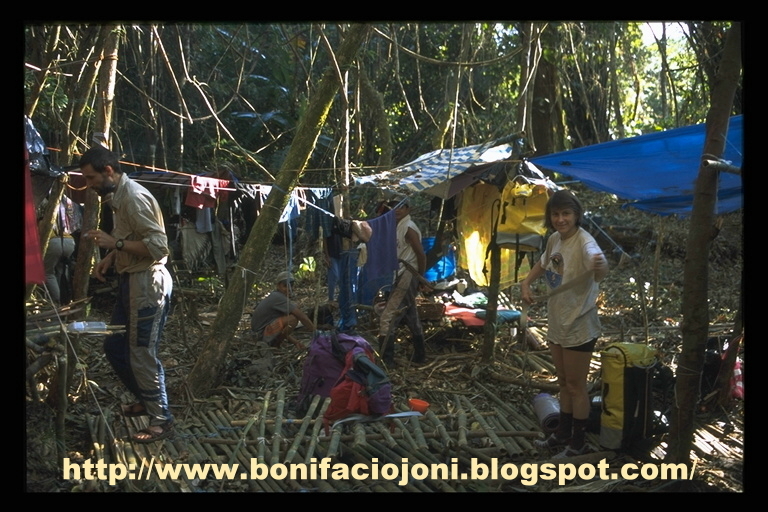 William, Joni and Jean-Paul immediately left after only two days the others stayed behind to map the place. Matingcad proved to be the surprise package of them all. 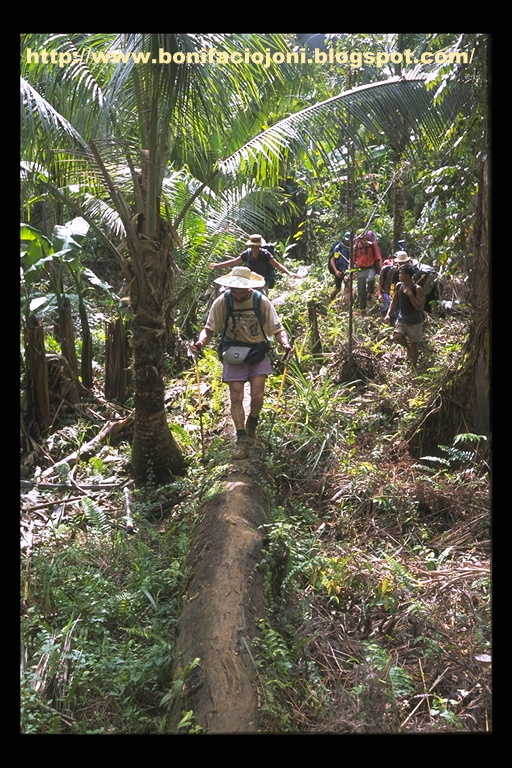 The trio walked for four straight days, with three porters in tow. 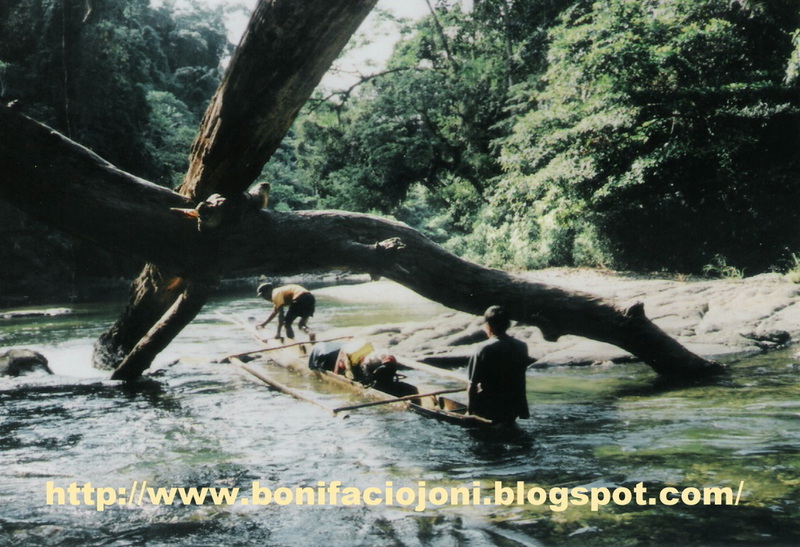 Along the long, circuitous route, devastating and cathartic scenes of doom, of the ill effects of illegal logging, came into view. 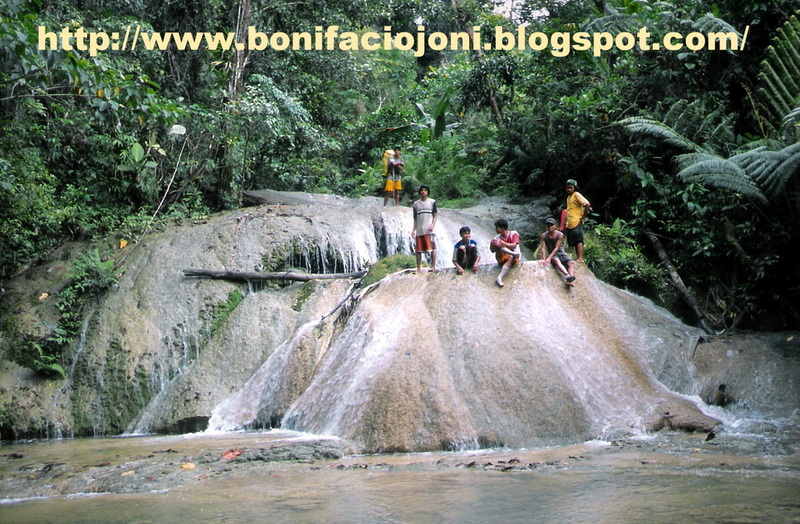 It was a sharp contrast to the virginal waterfalls that dotted the landscape, and the crystal-clear waters that magically flowed along tributaries. 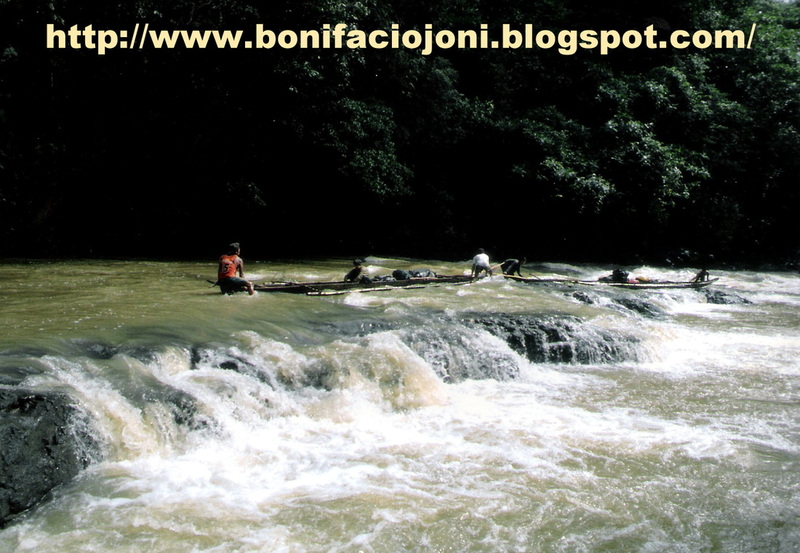 Night found them camping near a wide river almost “eight times wide than an ordinary one,” narrated Joni. They were lucky to have tilapia for dinner. Joni was all smiles. It was real dinner at last, not survivor’s food. 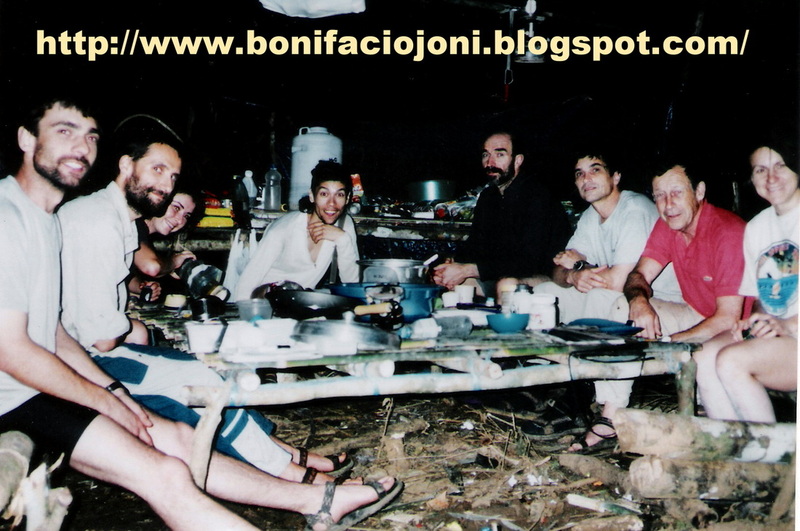 (Breakfast for the explorers usually consists of biscuits, skyflakes and kings, cheese, coffee, oatmeal and water. With lunch, dried mangoes are added to the biscuits and cheese. At night, rice is sometimes cooked. “Hilaw,” Joni would often grumble, so he wouldn’t eat. He got sick for a week but miraculously recovered. 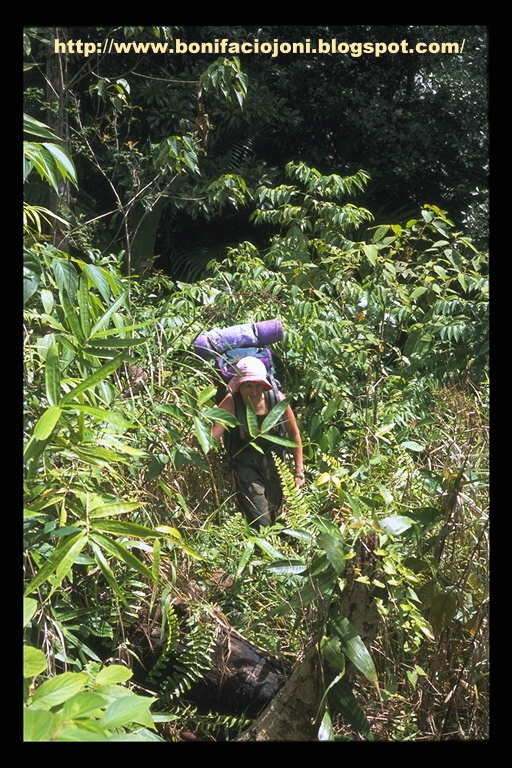 Predictably, he lost 2.5 kilos after the expedition. It turned out that the French national mix rice with other food stuffs such as corned beef and sardines, a funny revelation to the rather spoon-fed Joni). 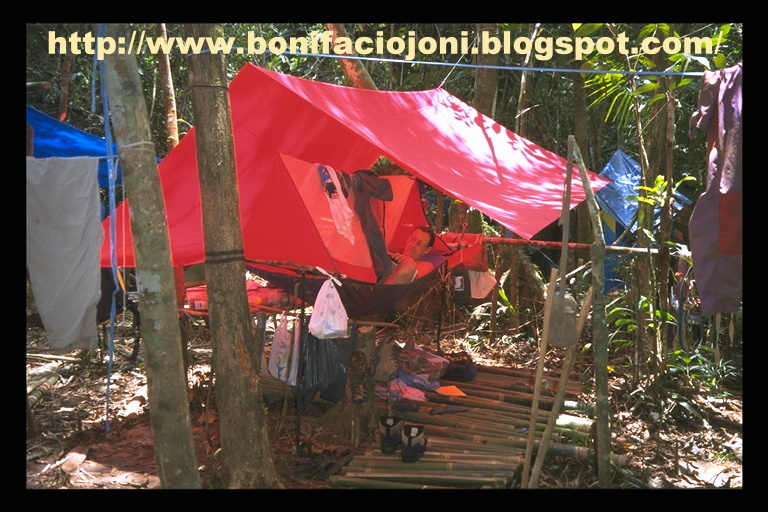 It took them two days to reach Aris barrio, passing by a small village in Buluan where only six huts stood. Then the cave signs became apparent again as the great Houdini acts. The rivers vanished! The trio was elated it was just a matter of finding where the caves were so that they can wander in its majestic interiors. 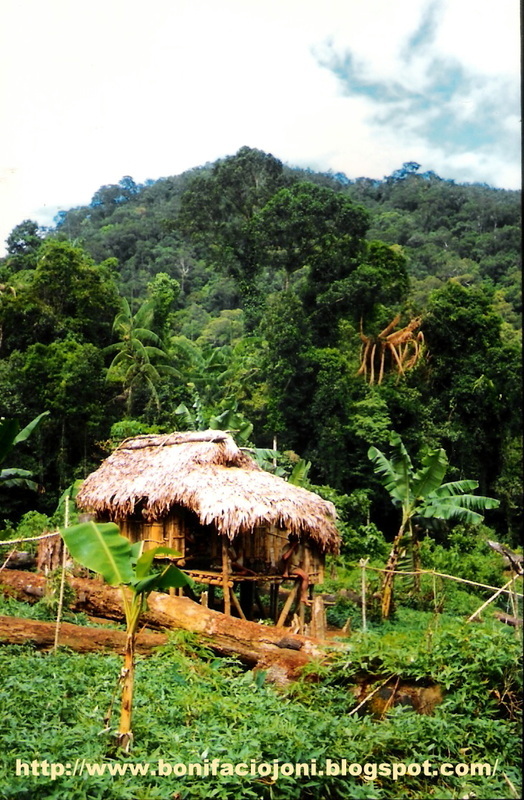 “There used to be a big cave,” recalled one of their porters, “but it just disappeared.” The culprit? Illegal logging. Logs and eroded earth concealed its mouth through time. Undaunted, they tried to find another aperture. It was then that Ninando, a wild boar hunter, guided them to a secret 500-meter cavern that led to the same place. It was big but not long. 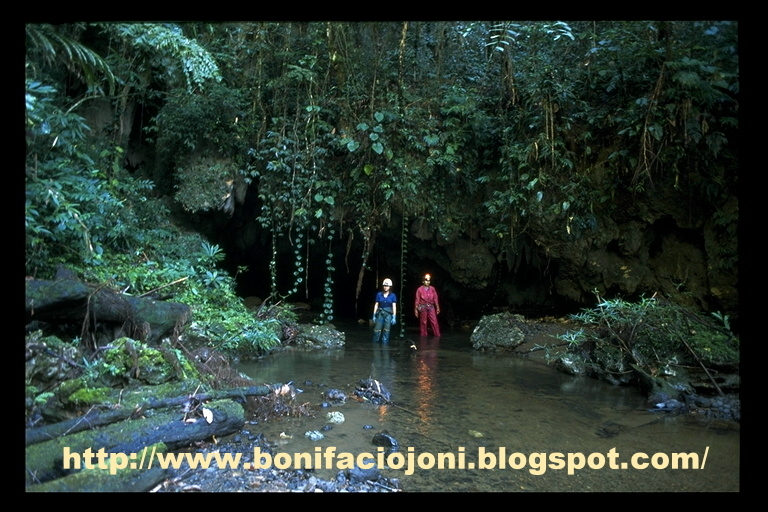 It was a most significant find, dry but the hardest, most slippery cave that they have to use the walls to force their way in, using sturdy ropes. 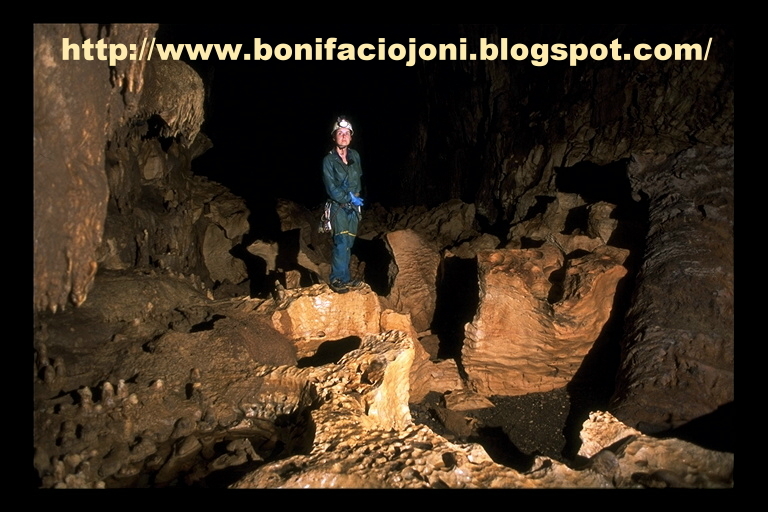 “There are many caves in the area,” Ninando, in whose name the cave was name after, told the explorers, “approximately more than 30.” He just might be right. 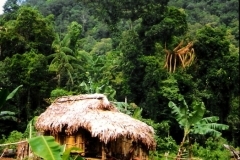 Located approximately 11º 34 minutes 30 seconds north latitude and 125 º 12 minutes, and minutes, 30 seconds east longitude, “the area features a very hilly karst landscape with steep slopes, caves and impermeable rock outcrops,” explains Eldrid Madamba, a junior Global Imagery Satellite (GIS) expert. “Surface drainage is marked by short fragmented streams that disappear into sinkholes and come out elsewhere as resurgences springs. 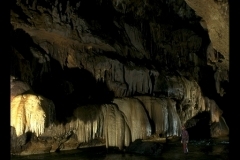 Subterranean features include underground rivers and caverns that connect the fragmented streams on the surface,” he added. Still, Jean-Paul wants to find the cave covered by fallen tress. It remains a mystery as the ruins of the great pyramids. What could be inside its mysterious galleries? Are there treasures in its dark chambers? NPAs? 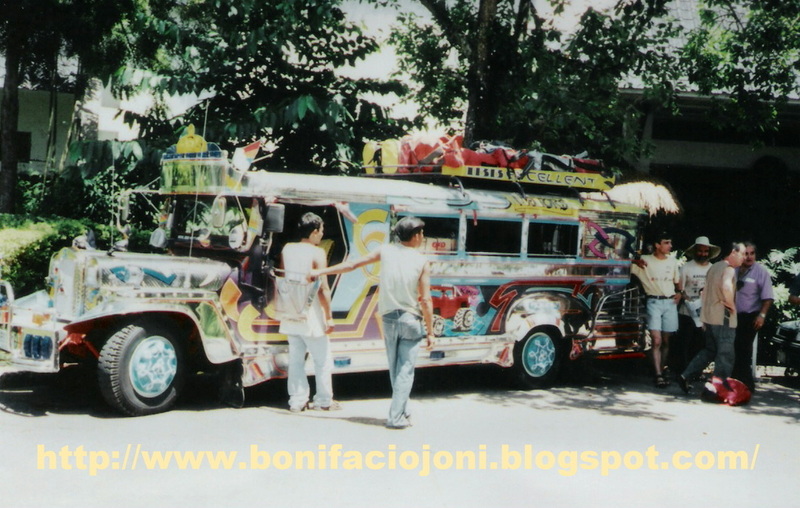 Or is it the mother-of-all galleries that the Philippines has never known? A spot check with the topographic map of the area revealed that Matingcal is further north of Mount Sohoton, and further away from Mount Asgad, with is highest elevation at 564 meters up north, and 485 meters down south. Within its boundary coordinates of 11º 35 minutes north latitude and 125º 10 minutes east longitude, and 11º 40 minutes north longitude and 125º 15 minutes east longitude, water flows just everywhere, disappearing in the some areas, only to appear somewhere else. Sinkholes, intermitted streams-all the signs are there. The place is waiting to be explored, and Jean-Paul will definitely lead the French assault again next year, hopefully with the aid of some choppers to cut-off travel time. 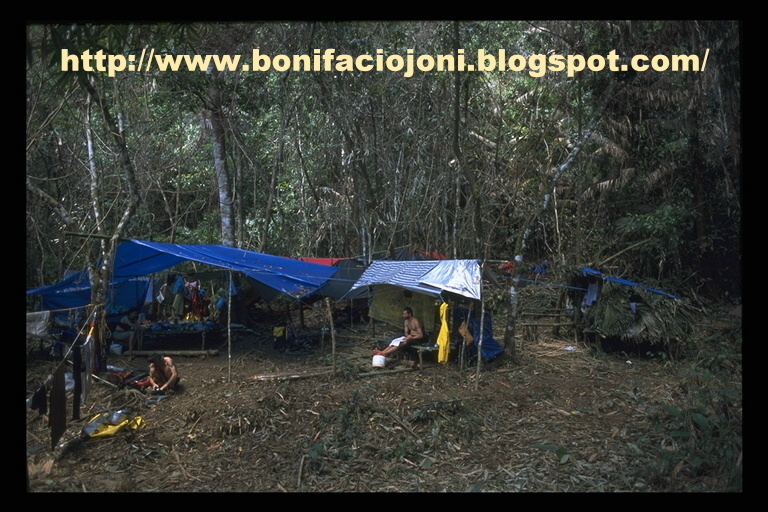 Realizing that they have finally stumbled on the Big One, the French nationals happily trekked back to their camp in Minaalo, only to find out that a bolo wielding bonner man had stalked their comrades. According to the story, the henchman just appeared from nowhere, with a letter demanding P75,000 for their “safety” or they will all be killed. Nineteen other men hiding nearby are ready to excuse the plan, he scared them. Fidgeting, the group somehow managed to make a few concessions, arguing that they no longer have money as they were already robbed before. Even their foodstuffs dwindled because of some petty thefts. Christine offered P400. Since there was nothing else the bonnet man could get, he grudgingly took it and disappeared just as quickly. The ordeal was finally over. Everyone was relieved. 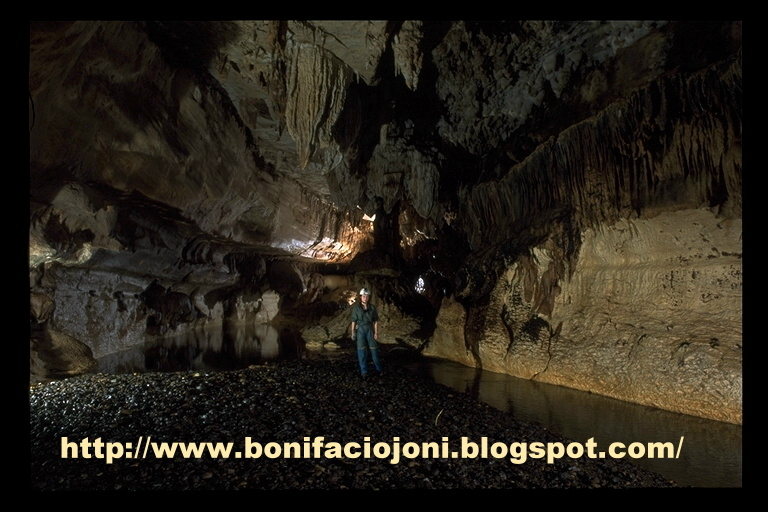 Indeed it is BIG, because even Matingcal is still under the jurisdiction of Calbiga, further giving credence to the theory that the town’s cave network might indeed be the biggest ever in Southeast Asia, if not the whole continent. Just the same, the assessment should be enough reason for the local government to put on the red light. 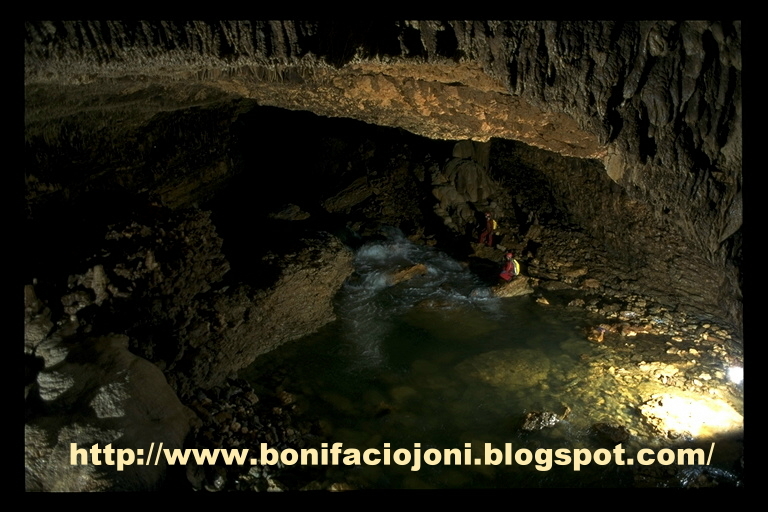 The Calbiga cave network had been identified in the first National Ecotourism Congress as a key ecotourism site in the Visayas. (Other destinations nearby include the Lulugayan fulls which has a series of 30 rapids which might be ideal for whitewater rafting. 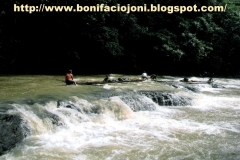 Nearby is the Literon Rapids.) It is also envisioned to be a World Heritage Site. 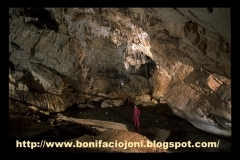 As a compromise, Jean-Paul suggests that maybe, one of the caves can be used to meet tourist to meet touristics demands. The rest, he avers, should be off-limits (except to legit cavers) to preserve the environment. 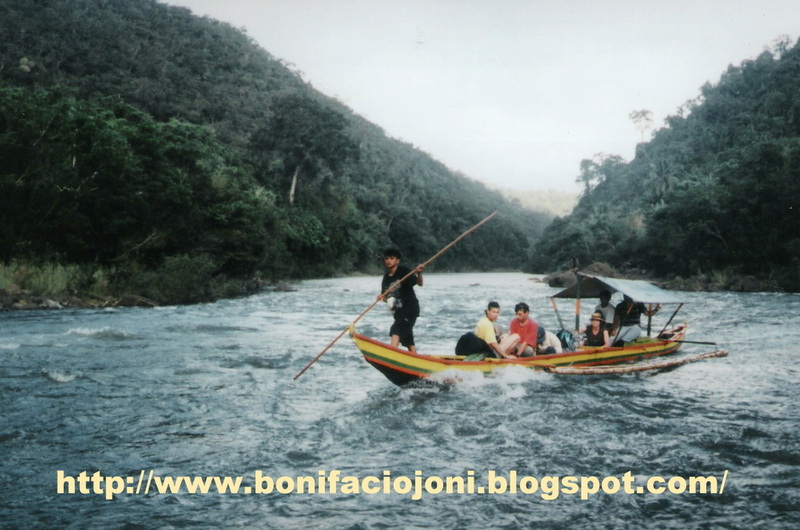 There is also a need to protect the whole area because damages from forest defoliation might result in big flood downstream, hitting Calbiga and its environs. 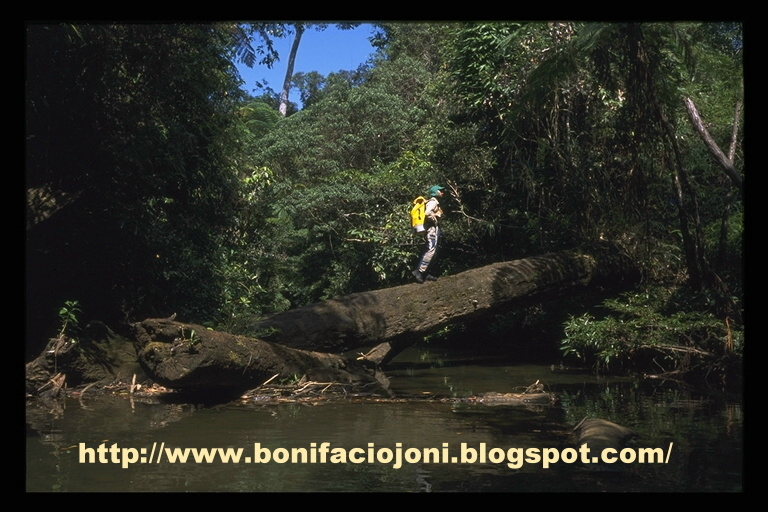 Illegal logging can damage the hydrologic basins of the rivers that flow into the karst, destroying cave networks, leaving no further shield to the town, the gem of the first expedition. 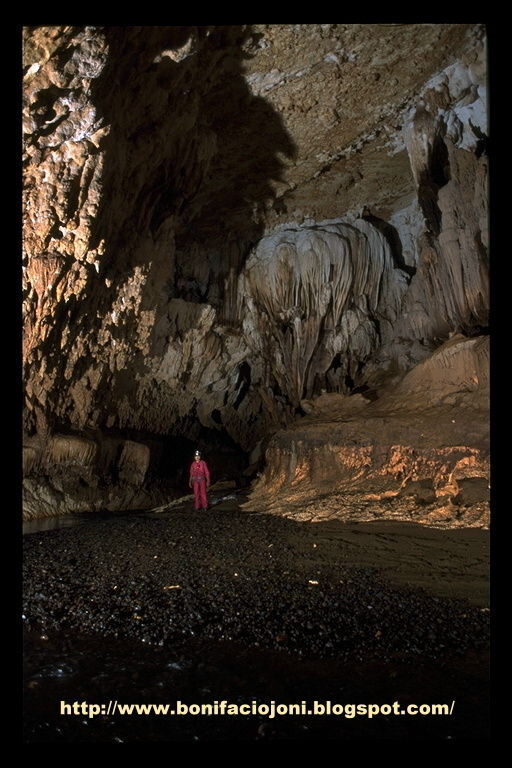 The calbiga karst proved to be the most impressive cathedral in the 2000 expedition, with magnificent galleries in head- spinning proportions. 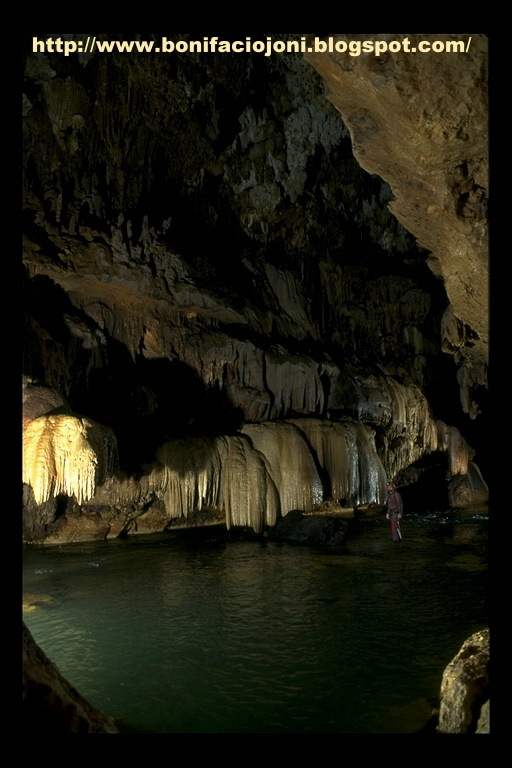 Aside from the kanyawa Upstream Nº 1 and Nº 2 grottoes; nearly everything in the ghoulish cave network paradoxically heavenly, with an branching out to a “Gallery of Oblivion,” then to a junction branching out to more colonnades. “Belzebuth’s Lair” and “Fantasy Gallery” are in the northern tributary. 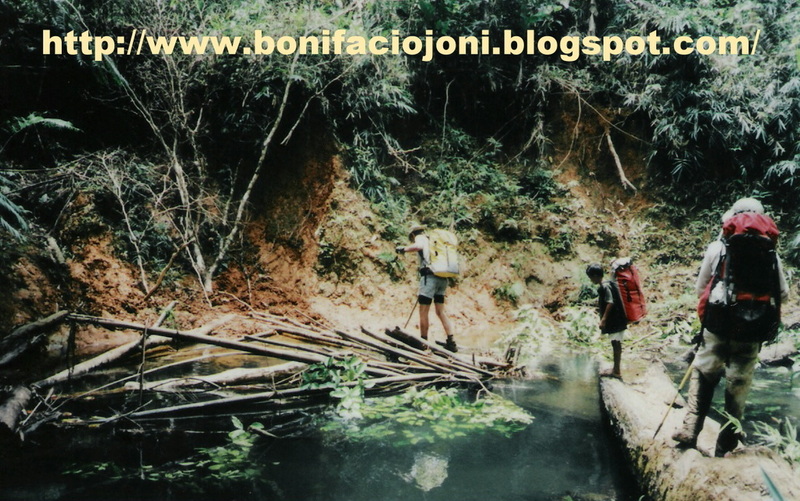 The river also flows where the gradient decrease, so the river occupies the whole width of the tube that makes it difficult to cross without swimming. True to its harsh nature, the “Tunnel of Anguish” submerges once it floods. 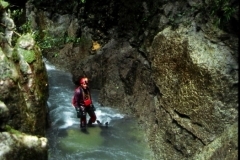 “ Azrael’s Gallery” is 80 meters long starting at the top of the slope leading from the stream. The Northern tributary dwindles in size. 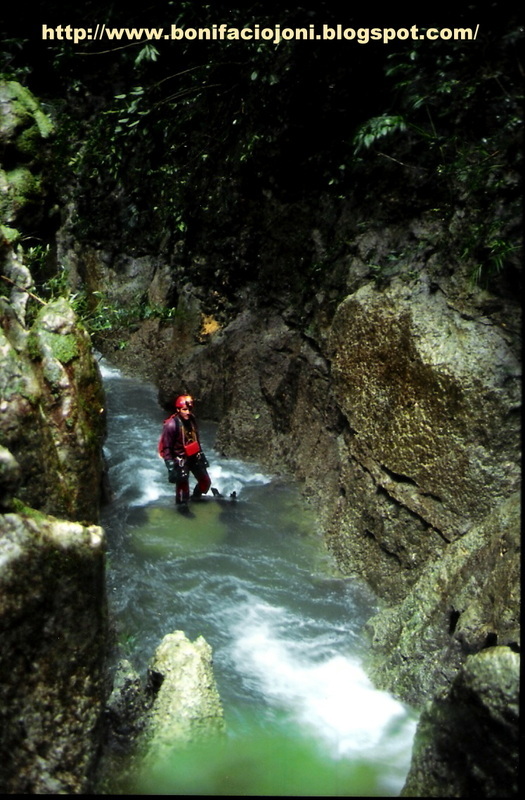 At 60 meters from the beginning of the series, a shaft on the floor goes down the stream way. 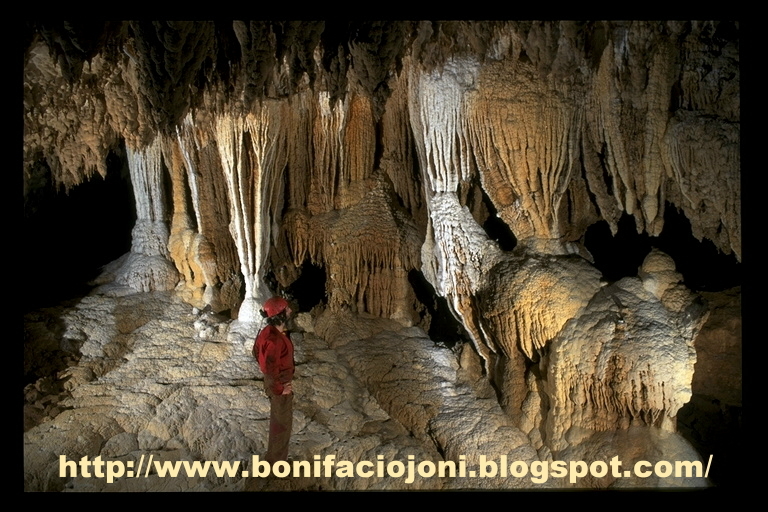 At 100 meters and on the right, a 97 meter long corriodor resembling a loop ends by a window on the right wall that is the stalactite-decorated “Fantasy Gallery.” There are also the “Devil’s Horns” and the “Bastos and tequila” chambers. The “Verdon” is a huge vadose tube measuring 10 to 25 meters wide by 10 to 35 meters high. 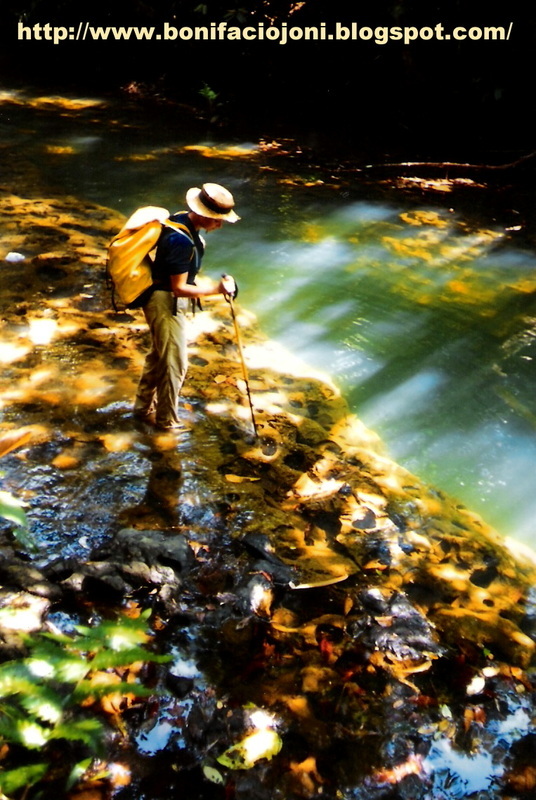 In many places, flowstones provide a magical backdrop to this wonderful stream way. 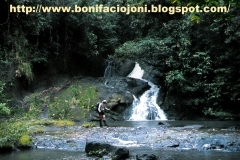 The river flows with a succession of lakes, rapids and small waterfalls. In two places, the tube dwindles in size. Just before the first narrowing, a slope going up leads to a big upper gallery which ends up in a boulder choke. 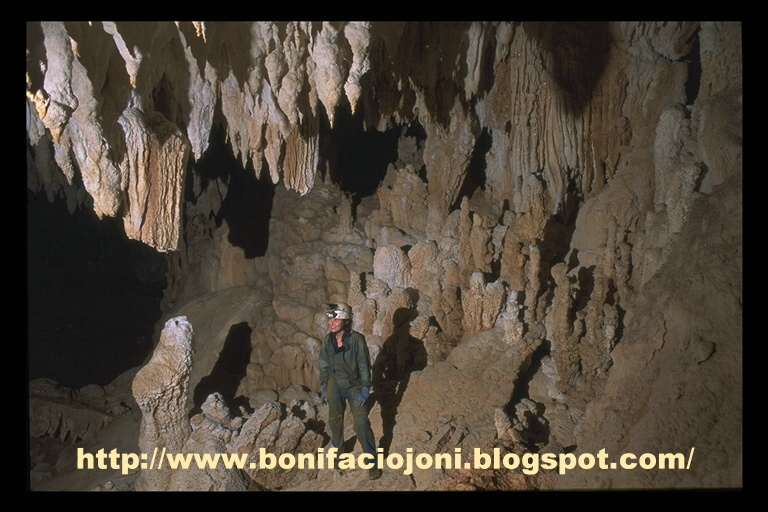 There are beautiful white stalactites in a corner that, because of their width, form a chamber. It stretches to nearly a kilometers. On the left, in a southwest direction, a steep ascent leads to the “Gallery of the Fakir” where beautiful dripstones and flowstones decorate the top of the slope. 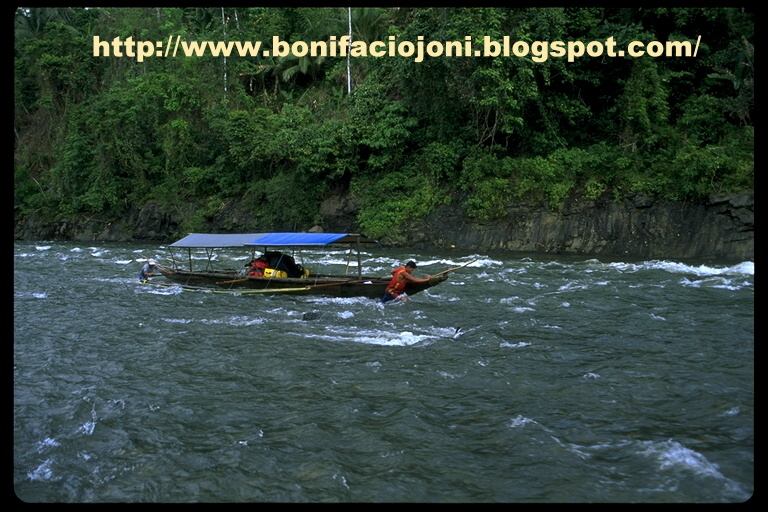 Downstream, the humungous arcade meanders through the mountains. Flowing water can be heard below, but access to it needs a sharp and twisted shapes, thus its name. 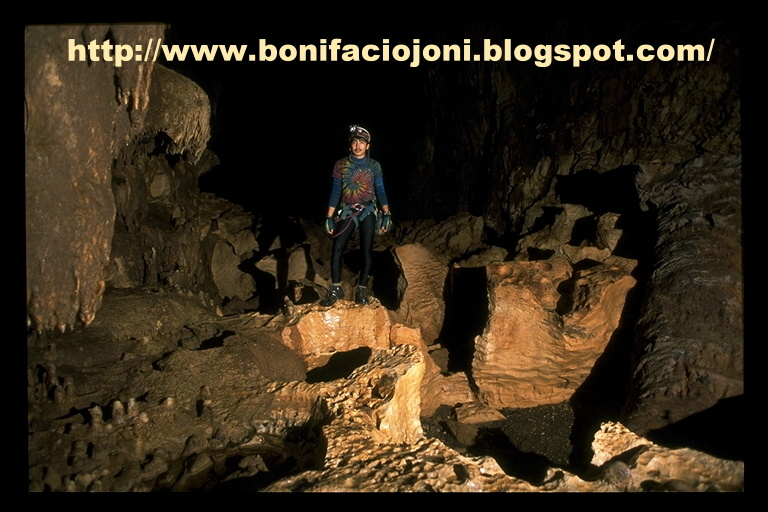 “Once upon a time to the west gallery” meanwhile is an amazing channel that traverse a navigable 2,500 meters. 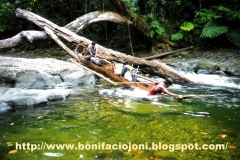 It meanders through the mountains in a direction mainly west, so its name. 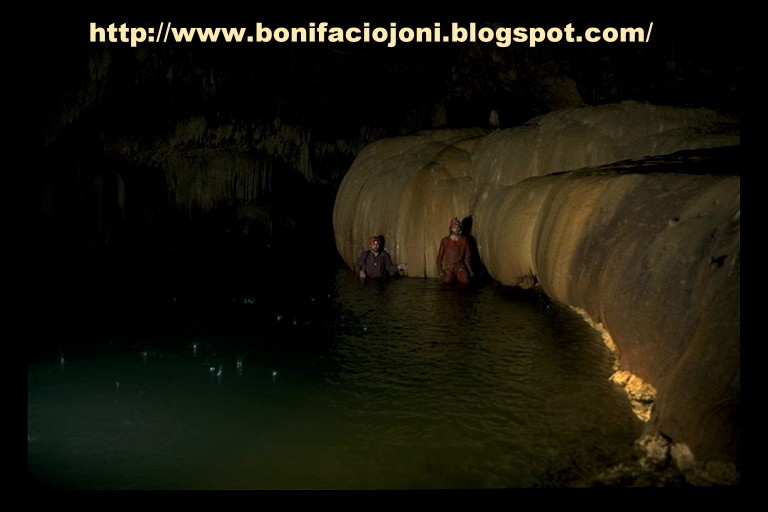 The passage is a panoramic vista of lakes, stalagmite clusters, and beautiful Gours. Up in the ceiling, millions of stalacities serve as natural chandeliers like a galaxy of stars. A lot of galleries branch out from the main tube including the “Carabao Pit”, “cauldron valve,” “No Future,“ “K” and Rotten Feet” chambers. In a corner of a bend, the most beautiful “Gallery of Wonders” beckons. 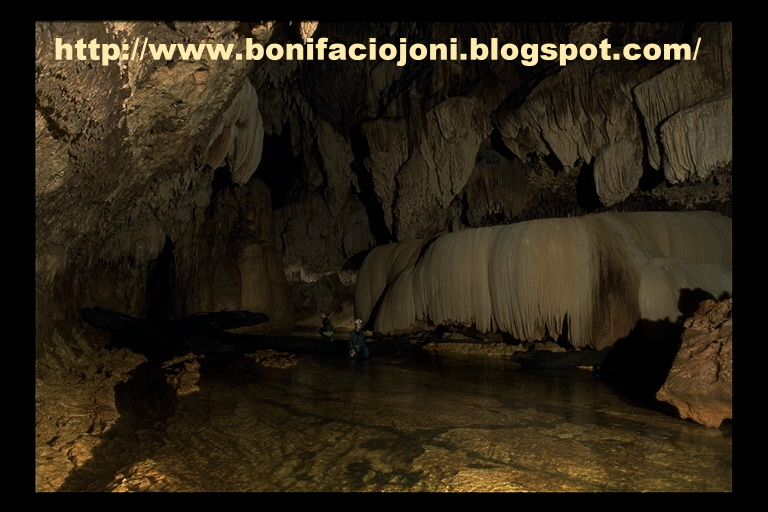 It head east- northeast, and a climb is necessary to pass through the 270-meter long tunnel which boasts of an dripstones, of stalacities, stag mites, flow-stones and crystal–filled pools reminiscent of some Hollywood fantasy films, never mind if it ends on a calcite choke. 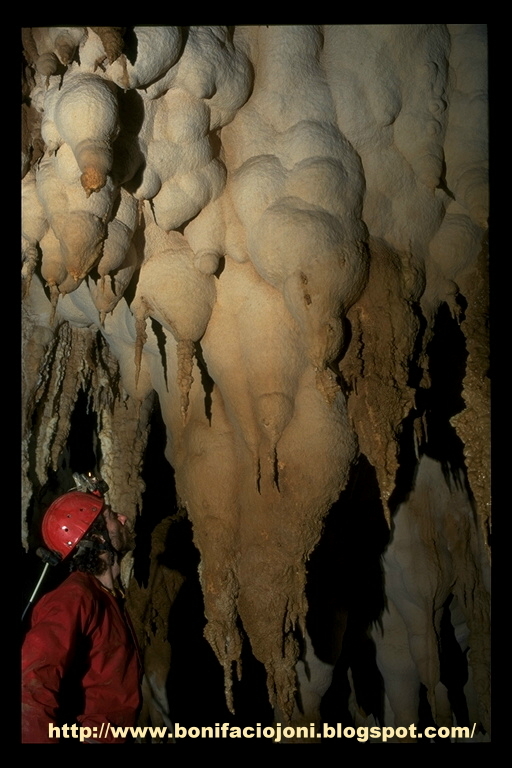 The stalacities in the “Gallery of the Bosom” looks like a woman’s breasts. On the west side of “shelob’s lair” stalagmites and columns spring up toward the ceiling. A few calcites pillars that tumbled down ages ago cluster up on the floor, forming a palm-like structure. As one steps on some formations and breaks them, one hears the sound of cornflakes being chewed. Thus, the “Gallery of the cornflakes” monicker, one of the most beautiful of them all. 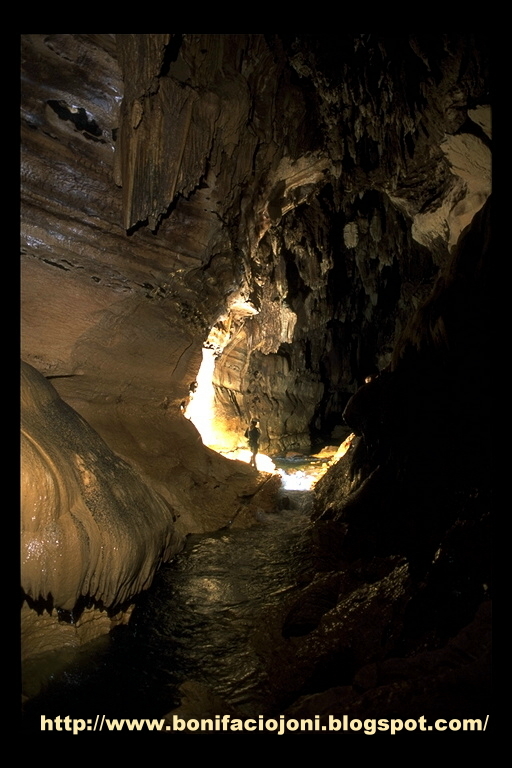 The success of the matingcal expedition is enough reason to look forward to next year’s expedition, though everyone still has to work for his or her finances to bankroll the next chapter of their intrepid adventure.”[It was] a more successful expedition, though with less cave,” remarked Jean-Paul, whose fascination and enduring love affair with caves started after reading a book when he was barely 15. there was no turning back from thereon as he started scouring the small caverns in his native France. 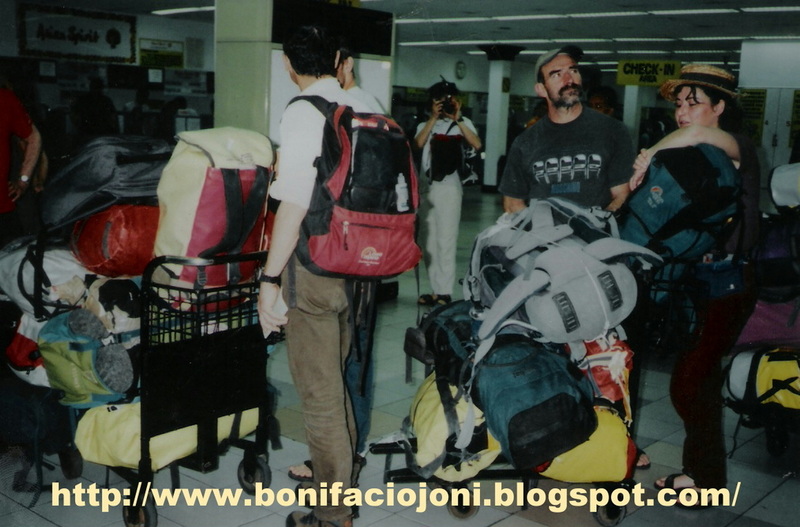 He eventually branched out to 17 countries. It is already only his second time in the country. 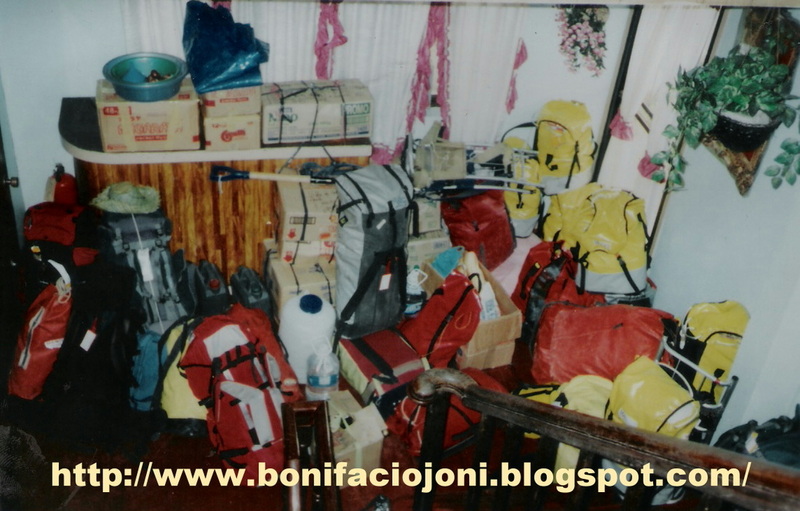 Thus, on April 19, they triumphantly went back to San Isidro and gave their excess supplies, food, shoes and other excess baggage. 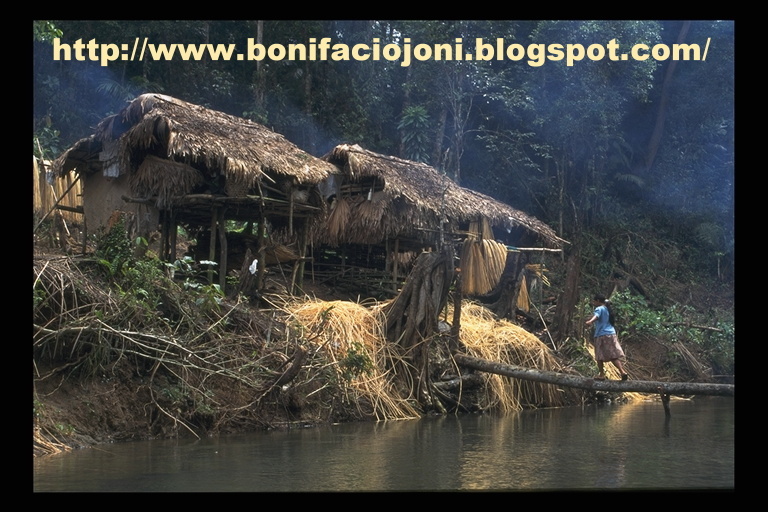 The whole sitio was roused from its idyllic slumber as if manna rained from heaven. 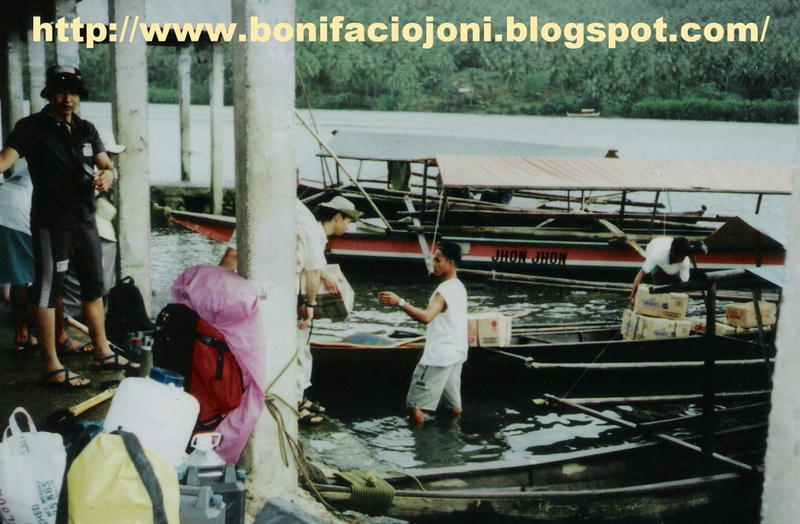 Around 6 p.m. that same day, a motley band from Bagong Barrio headed by kapitan Ernesto Delmonte arrived tighter with 23 porters, six boats, and two motorboats, and ferried them back. 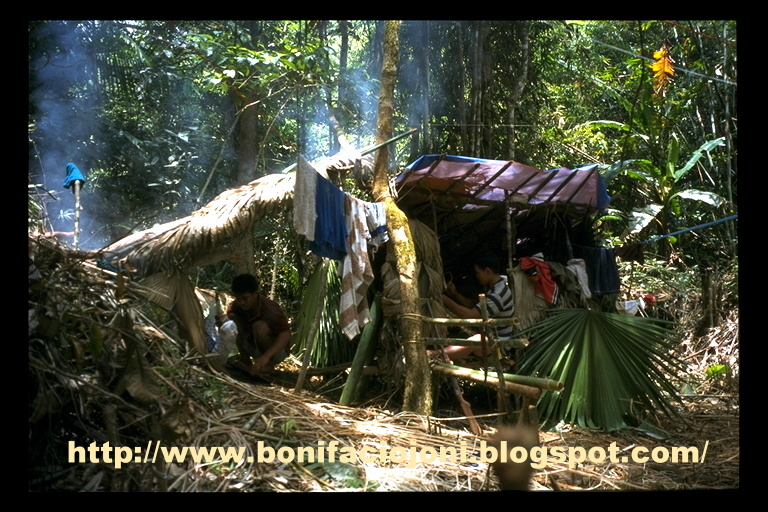 They stayed overnight at the kapitan’s humble residence, all the while figuring out how to pay their servants as they had promised. 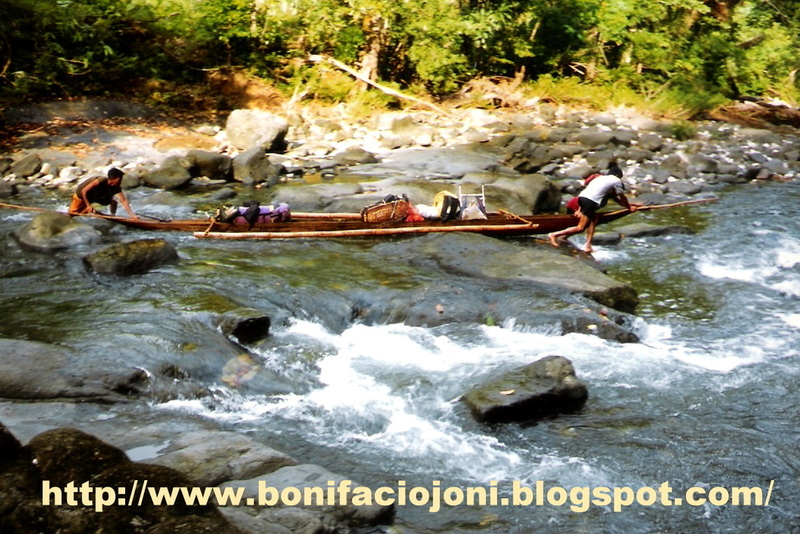 They owed P31,400 to San Isidro porters, and another P51,000 to their helpers from Bagong Barrio. Thankfully, it was resolved in Borongan after one explorer traveled all the way to Tacloban to withdraw the necessary amount. On April 23, at exactly 11 a.m, everyone was finally paid, thanks to the two kapitans who were requested to tag along to guarantee payment. 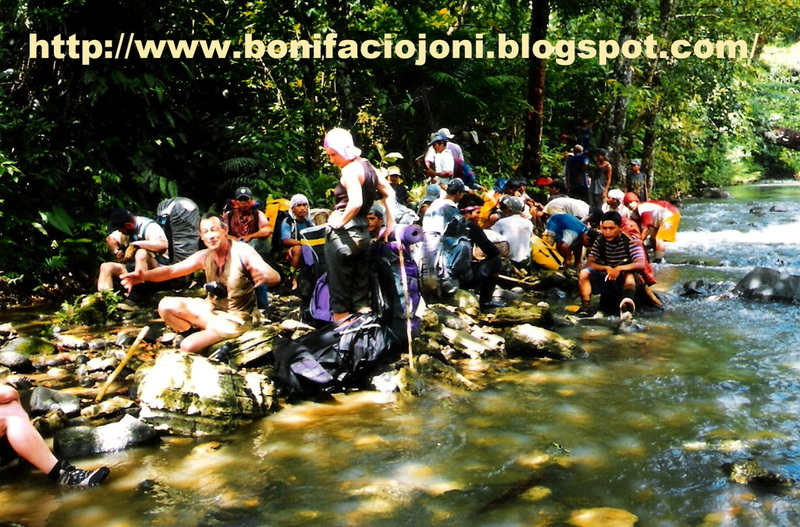 The group then returned to Leyte Park, rested, frolicked and sunbathed in its asymmetrical pool. William and Joni made a side trip somewhere else though. A few days later, after the last of their mercis and au-revoirs, their shadows were gone-gone before the bobbing flowers of May could bloom under the swath of the surprisingly saffroned sun-but hoping to return a year from now to continue the ultimate thrill of exploring the biggest galleries around, and the cathedrals to last them a lifetime.